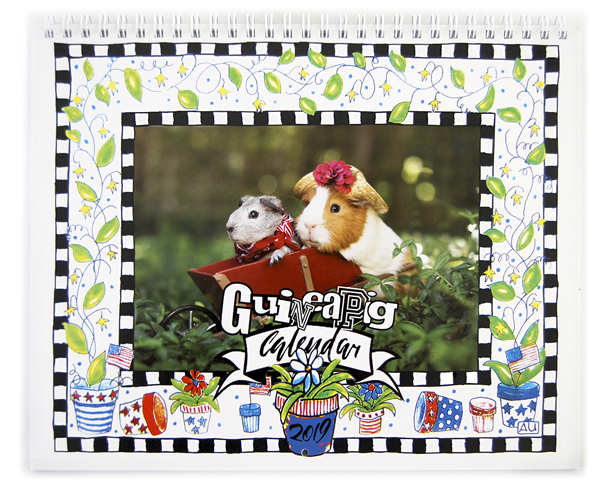 WELCOME to the Guinea Pig Calendar Company! Visit Guinea Pig Calendar Company's profile on Pinterest. the most adorable calendar ever! Sure thing, we really do dress them up! In this age of computer generated images, this calendar is a breath of fresh air. All photos are of real guinea pigs, wearing real costumes, appearing in real situations. No photoshopping here! The borders are hand painted original artwork, and the combination is a fun and unique calendar sure to please guinea pig fanciers of all ages. you have as much fun using this calendar as we had making it! ($19.95) visit Amazon to purchase! our guinea pig friends. Each durable portfolio measures 5" x 8"
- 250 sticky notes in all!! 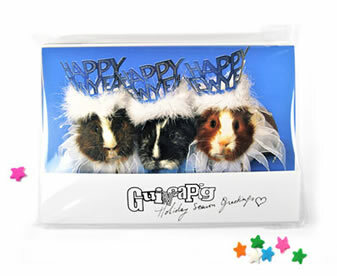 Guinea Pig Calendar Company is pleased to offer four greeting card sets, each containing a selection of beautiful 5" x 7" cards featuring adorable cavy photos. 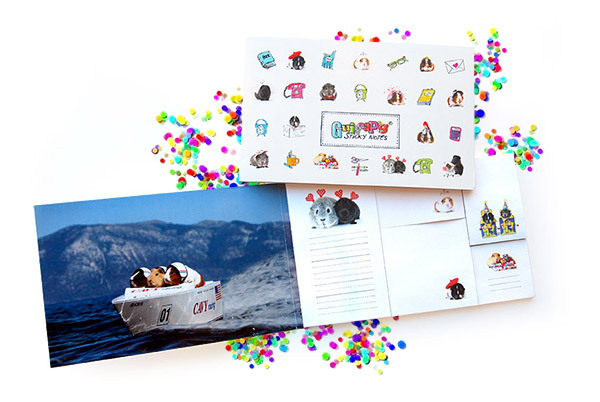 The cards are high quality, are blank inside, and are perfect for all occasion greetings and general correspondence. Each set is neatly packaged in a resealable cellophane envelope. "Angels with Attitude" contains a selection of 6 different 5" x 7" cards and envelopes. 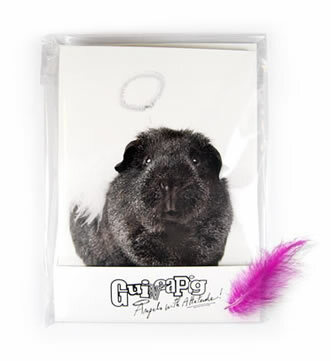 This set features photographs of guinea pigs dressed as angels and dressed in hats with attitude! Perfect for any occasion. 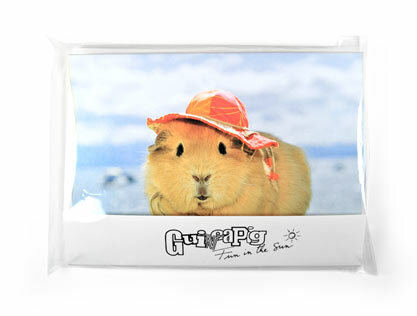 "Fun in the Sun" is a selection of 6 different 5" x 7" cards and envelopes featuring guinea pigs at play. Makes note writing fun! "Holiday Season's Greetings" contains a selection of 8 different 5" x 7" cards and envelopes featuring major holiday themes from New Year's to Christmas. Great for guinea pig lovers to use or give as gifts.